JOEP 2th place TOTALL RESULTS !! Wednesday afternoon we drive to the Hotel in Gent in Belgium to stay untill sundaymorning, on our way we had a nice lunch! 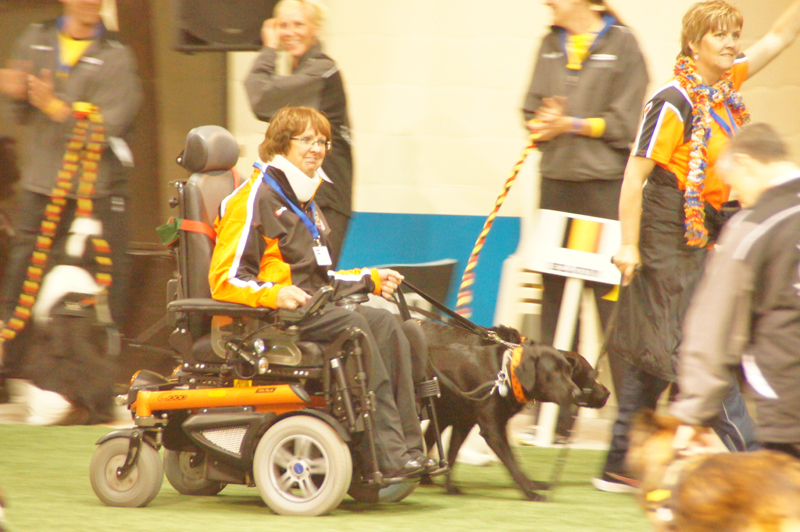 Early on thursdaymorning I arrived in the Hall, we had more then 20 new competitors PAWC and on this trainingsday we had to decided in which group of disability they will take part.Together Jeannette Velzel I had done this job. After this I took part into the Teamleaders-meeting and at 19.00 the Openingsceremonie was started, a big show with a lot of music and dans! 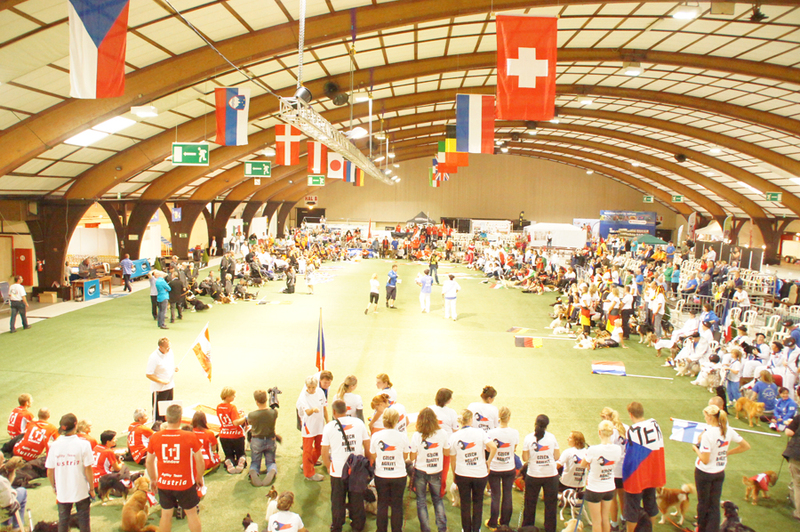 Every year I like this very much..all those countries who walk into the Hall with all their flags and nice trainings-cloths! Even each country had given a present (most of the time something original of their country) to another country. This is also a very nice part of this Event! On friday the first course, a jumping. They had started with category large, so Joy had to run first and Joep later, he's into the Veteran-classe and running medium. Joy had not any problems with the noise and activity into the Hall, we took her with us all the time, even she was a puppy, to demonstrations and agility-matches. The results had given a first place for Joy and a second for Joep...a nice start! 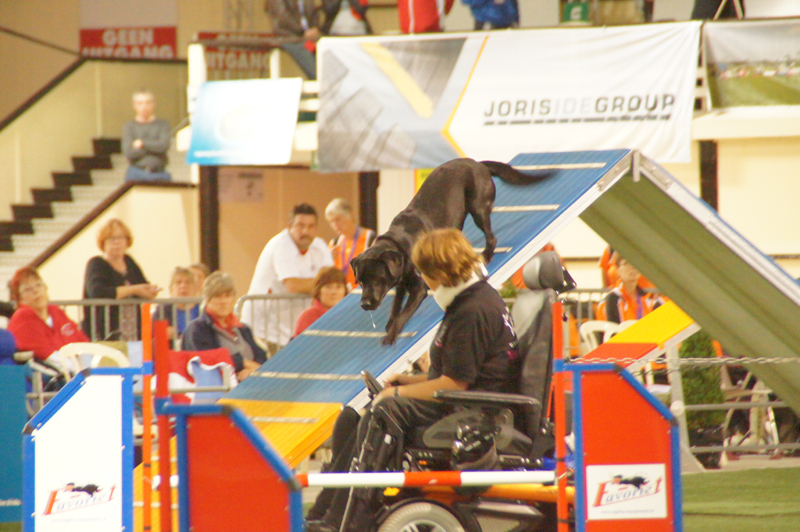 On saterday the first agility-course. Joy was running very nice, but not enough for a place on the podium this day. Joep was running a wonderful clear round, that had given him a 2th place on the podium for this day... again a nice cup. Very exciting for the next day.....everything was possible for the Totall-Results. 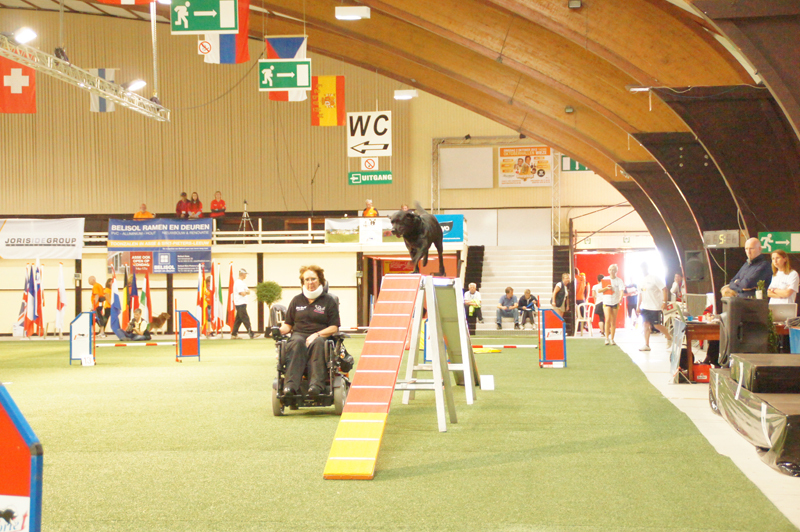 On sunday the second agility-course, first Joy. What a fantastic clear round she was running, also the fastest time....so a first place on the podium of this day! Even Joep was running very good, but for this day just not any cup...but eveything was possible, we had to wait for the final results! Joy on the 2e agility-course...1th place|! There was the result for the champion.......Joy first and Joep second on the podium....incredibly! But also Joep a very nice second place....I was very proud of my two toppers! Another year for training......next year to Hungary! 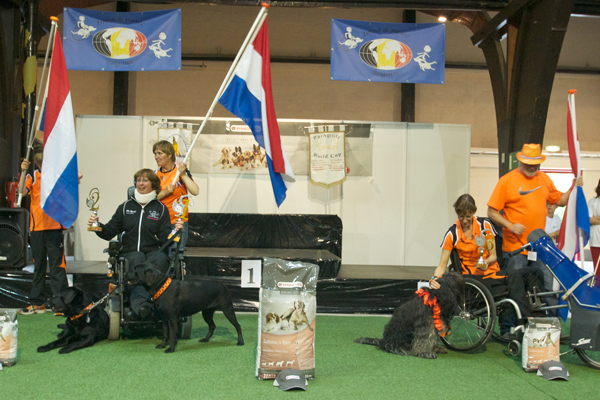 Joy first, Joep second and Elizabeth Sijmons ( also of the Netherlands) third place on the Totall Results PAWC 2012!